Kindergarteners and first graders check out one book at a time. Students in grades 2-4 check out 2 books at a time. Students in grade 5 check out 3 books at a time. All students are welcome to exchange books as often as they would like to. They do not have to wait for the day of their library class. Parents are also welcome to check out books. Stop in and see us! No fines are charged for late materials, but we do expect payment for lost materials. 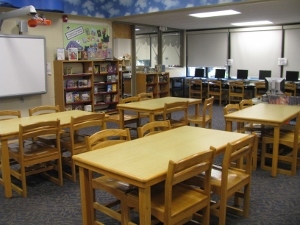 Library lessons are based on the Empire State Information Fluency Continuum, which is a curriculum for libraries which is aligned with the Common Core State Standards and has been adopted by New York State. 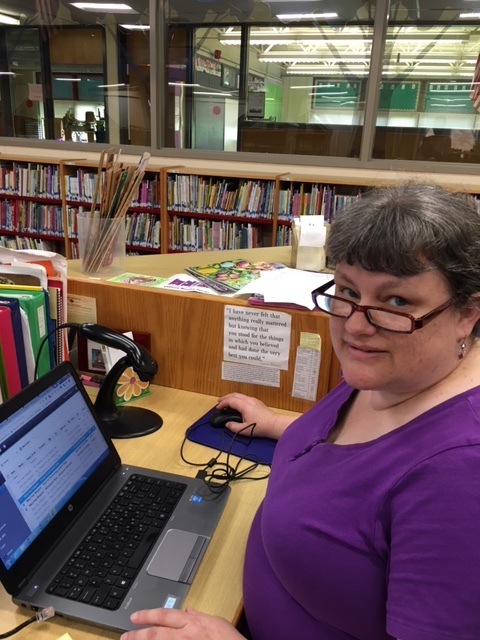 Library lessons at South Seneca Elementary are designed to reinforce these skills and complement the work students are doing in their classrooms. This rubric describes the general expectations for students in library classes. Comments are given as needed. If you have further questions, please contact Beth McCheyne. 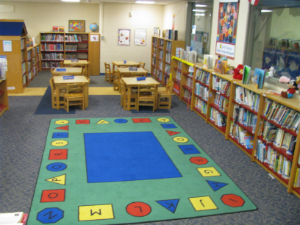 Demonstrates library skills to build understanding and create new knowledge. (Class Participation / Lesson Content) Consistently pays attention during lessons, and demonstrates understanding by answering questions or by following through with personal research needs. Usually pays attention during lessons. Usually able to answer questions that directly stem from the lesson. Sometimes able to follow through to other research needs. Asks for help as needed. Needs frequent reminding to stay on task. Frequently cannot answer questions. "Wanders" during personal research time. Shows little interest or refuses to pay attention most of the time. Unable to answer basic questions. Unable to begin a logical research procedure. Borrowing and Returning Materials Appropriately Uses library materials on a regular basis and returns them within the allotted time. Exchanges books during library class and at additional times during the week as needed. Exchanges books during library class. Occasionally receives overdue notices. Borrows books infrequently, or receives overdue notices more than half of the time. Shows little interest in borrowing or reading library materials. Loses materials for long periods of time. Avoids checking out books when eligible to do so. Library Rules and Procedures (Including following the "Falcon Four") Consistently demonstrates appropriate conduct for a library setting. Follows procedures such as material sign-out, ILL, and class schedule without prompting. Independently demonstrates knowledge of research procedures. Usually demonstrates appropriate conduct for a library setting. Follows procedures such as material sign-out, ILL and class schedule with minimal reminders. Can pursue research techniques with prompting. Frequently receives warnings for inappropriate conduct. Seems to forget procedures or refuses to follow them. Cannot pursue independent research at an appropriate level, even with prompting. Show little understanding, or refuses to follow library rules and procedures.